Bowman Riley embraces technology and innovation to deliver projects that transform our clients’ visions into reality, adding value through the use of collaborative Building Information Modelling (BIM). The 21st century has seen unprecedented technological developments and an explosion of data available about the built environment. One of the most exciting developments to influence the design, construction and management of the built environment is BIM. We see BIM as a catalyst for positive change and a significant shift in the way assets are designed, built and delivered for the client. In 2018, we achieved BIM Level 2 certification for Design and Construction in compliance with the British Standards Institute (BSi). This certification reassures our clients that we are able to confidently deliver BIM projects as Tier 1 lead designers inline with the PAS 1192-2 and BS 1192-4 standards. BIM allows us as designers to create whole projects in a virtual shared environment, improving client engagement and project collaboration to deliver projects with greater accuracy, reduced risk and greater cost certainties. We have made a significant investment to ensure our staff have access to the latest software, hardware and training programmes with over 75% of our technical staff now trained in the use of Autodesk Revit. 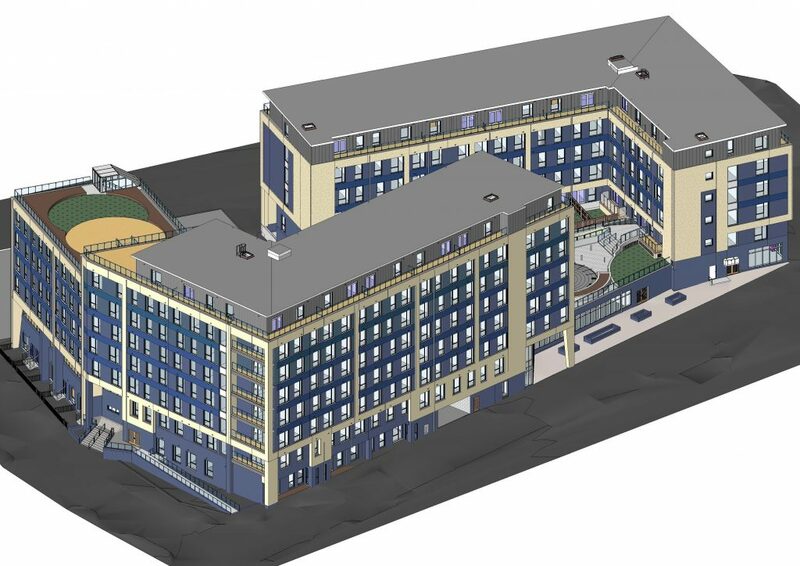 We carry out all new projects using Revit and we continue to successfully deliver a wide range of projects in a BIM environment. Furthermore, we are currently appointed by The Co-operative group to act as BIM Information Managers to develop their standard concept store model.